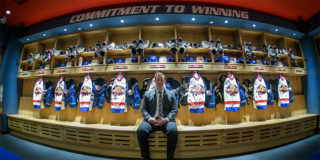 With the first round of the 2019 QMJHL Playoffs already underway, Moncton Wildcats defenceman, Jordan Spence, was awarded the Raymond-Lagacé trophy prior to Game 3 of their Best-of-7 series against the Baie-Comeau Drakkar. 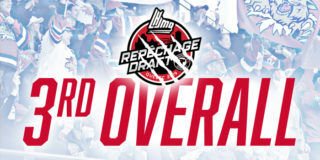 The Raymond-Lagacé trophy is awarded annually to the Defensive Rookie of the Year. 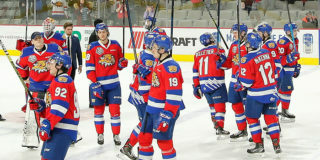 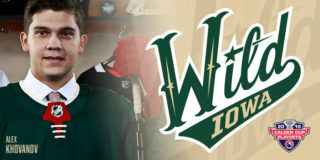 Spence posted impressive numbers for a 17 year-old player with six goals, 43 assists and a plus-minus of +11 in 68 games with the Wildcats. 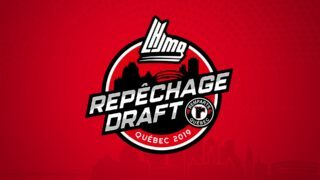 The Cornwall, PEI native was drafted in 2nd Round, 20th Overall, by Moncton in 2018. 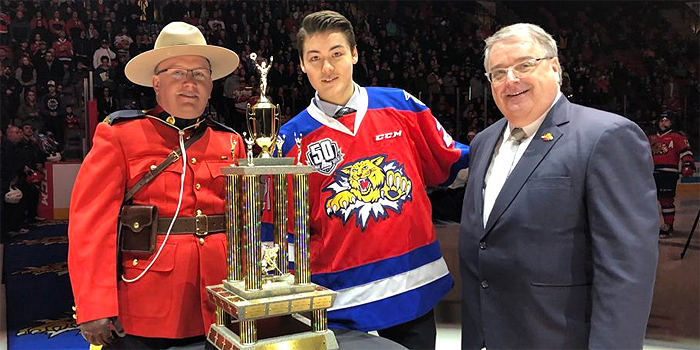 The trophy was presented by Moncton Wildcats Governor Jean Brousseau.